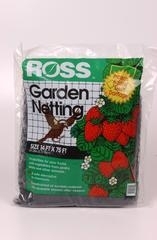 Ross Garden Netting protects your fruit and vegetables from pesky birds and other animals. A safe alternative to chemicals. Constructed of durable material and reusable season after season.